Frittatas are one of my favorite breakfast foods. Due to some recent dietary changes I've been trying different variations such as this Tomato and Spinach Frittata with Havarti Cheese. If you've never tried a frittata before, it is basically an open faced omelette and is really easy to make. Normally when I make a frittata, it's a large dish that will feed the whole family. This is an individual serving and is full of some of my favorite flavors! Coarsely chop the fresh spinach. Dice the tomato into 1/2″ pieces. Cut the Havarti cheese into thick slices. 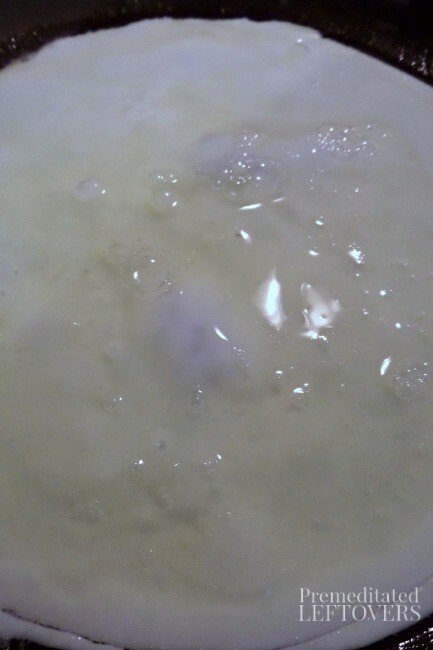 In a medium bowl whisk the egg whites. Coat a small skillet with olive oil and bring to temperature over medium heat. Pour the egg whites into the preheated skillet and let them begin to cook. 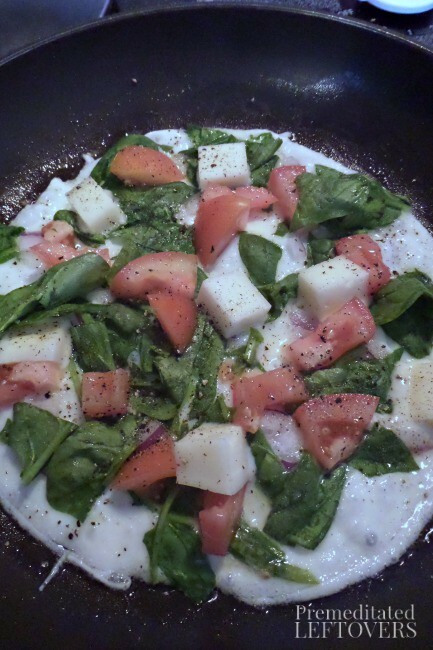 Top the partially cooked egg whites with the spinach, onion, tomato, and cheese. Sprinkle with salt and pepper. Cover the pan and let the frittata cook until the cheese is melted. Remove from heat and transfer to plate. Serve warm! What is your favorite healthy breakfast? 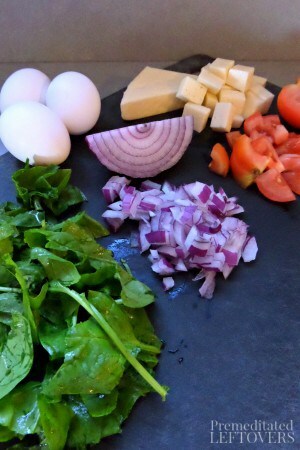 Have you ever tried a frittata? 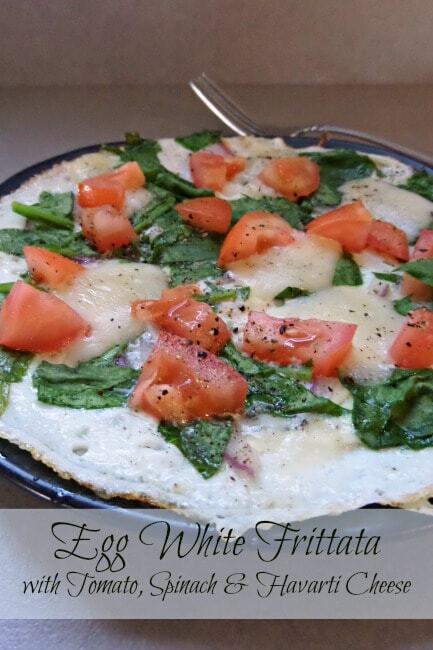 Egg White Frittata with Spinach, Tomato, and Havarti Cheese is a delicious and healthy breakfast or brunch option. Dice the tomato into ½" pieces. Looks so great! I’d love on for breakfast!! Pinned to my low carb board for future reference! Thanks for linking up to Merry Monday! Have a great week! Yummy! What a delicious and healthy meal! Yum! One of my fav combo’s ~ great idea to make it a breakfast! This looks delicious! I would love to try it! Thanks for sharing your recipe at the Craft Frenzy Friday party at Mom Home Guide! That fritatta looks deliciously healthy!